From the kitchen of One Perfect Bite...Will he cook? To be sure! Will he be a cook? I suspect not. His smile, for a least another year, is blinding bright, but it's a perfect match for an upbeat disposition, that as yet, shows no signs of teenage angst. He loves numbers and music and, having seen Wright's Falling Waters, concluded he would like to be an architect. His fallback plan, at least this year, is plasma physics. Zach is my oldest grandson. His love of food and cooking has convinced me that there is a recessive gene for food that scientists have yet to identify. There has to be an inherited component to this addiction we pass on to our children. 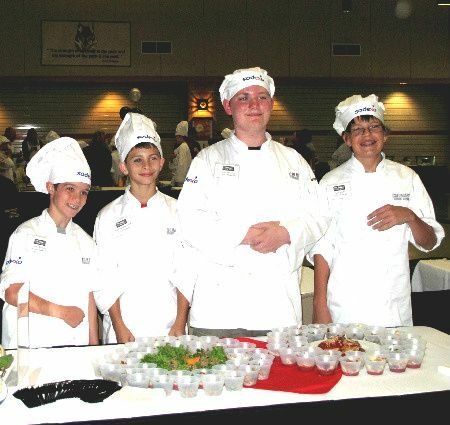 Zach is wearing chef's whites, because food service providers in his school district sponsored a culinary "throwdown" and invited seventh graders to participate. 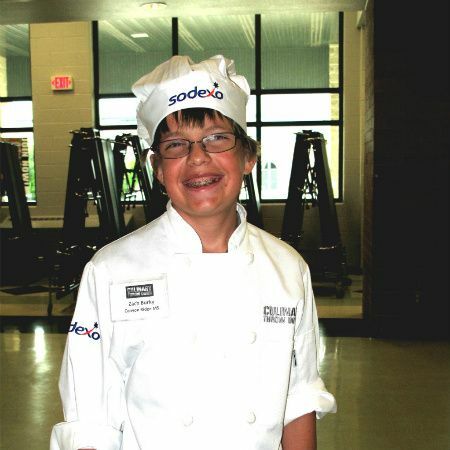 Zach loves to cook and was one of the first of his classmates to register for the competition. The book of life will show their dishes took no prizes, but they won hearts and the team spirit award for their congeniality. That's my guy! Our children and grandchildren learn to cook at an early age. It starts with pancakes on Saturday morning and they graduate to more involved cooking as they get older. This summer, I've worked on recipes the older grandchildren can make on their own while they're visiting with us. While the dishes are easy to prepare, they are also delicious and I hope the boys will have fun making them. I won't be posting most of them because they are so simple to make, that I'm afraid I'll offend you. You can be sure that those that make it to One Perfect Bite are "best of show" and will work well, especially for those of you who will be feeding teens this summer. Here's the first recipe I want to share with you. 1) Cook beef and onion in a large skillet set over medium heat until meat is no longer pink. Drain. 2) Stir in ketchup, water, brown sugar, vinegar, salt, mustard, chili powder and allspice. Bring to a boil. Reduce heat; simmer, uncovered, for 35-40 minutes or until heated through. 3) Spoon about 1/2 cup meat mixture onto each bun. Yield: 8 servings. That is wonderful! You open up your kids' worlds to cooking at an early age; I wish I learned to cook as a little kid. I can only fantasize about weekend brunches with my family, where we all sit together and enjoy a gourmet, fresh platter created by me. Sloppy joes are so delicious. Not gourmet in the original sense, but being brought back to the cuisine scene. It is a flavor and food experience never to be forgotten. Thanks for the recipe! Love the bright pics you take! Nutrition is such an important thing in our lives and we ought to teach kids how to cook so that when they grow up,they won't up eating trash!Well done,dear Mary! What a cute cook!! I'll have to try this recipe, we love a good sloppy joe. What a cutie of a grandson!!!! We called them "Schoolboys" not sloppy joes and always loved them for school lunches! It's great that you help teach your grandkids to cook -- and that is such a special relationship -- the grand relationship! I will try your recipe next time I make "schoolboys"! Great lookin' kid! I know you're proud of him. Some day I'd like to hear your views on dishes that are P.I. I always loved sloppy joe's when I was a student, but NEVER made them! 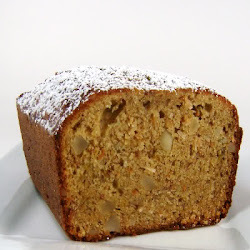 This post brought me back, and now I want some...another "must make soon" recipe. Have a super week! It's super your grandson loves to cook. Both my boys did too. When I was a kid, we took home ec and once a year for 6 weeks, shop. And the guys reversed with us. Always thought that was a good idea. Love the Sloppy Joe recipe. Good choice on their part. He is so cute. What a sweet post. Sloppy Joes are always a big draw at my house with my boy too. Mary, he is following you proudly. And, darn, he's cute!! I truly admire you for patiently teaching the boys to cook. Someday, there will be very luckily wives in the world you will share their kitchens with a talented husband. What a wonderful opportunity your school district provided! I love your grandson's smile. I appreciate you sharing this series of recipes. Our children are active in the kitchen and it is nice to have a number of different dishes for them to try. Take care. He looks so good in Chef whites!! How fun for him too.. I wish they had done something like that when I was in 6th grade..I'm so jealous! He is adorable and a good cook. Congratulations to Zach for the team spirit award! It's wonderful you're encouraging and teaching him how to cook!! Whether or not he becomes a chef, he'll certainly use his skills to please himself and his future family. It's great that he such a diverse range of interest - both creative and scientific. Bet you can't wait to see how he turns out. he is precious! i love that he has inherited the cooking gene- he has a great teacher! I think recipes for kids learning to cook is a wonderful thing (and a new blog idea if you were thinking you didn't have QUITE enough to do, haha!) I wish I had gotten my oldest involved in cooking from an early age. She can make KD and heat up soup, but past that? Notsomuch. My fault, I know. What a fun recipe! Looks like he had a good time! Your grandson will go far in this world Mary. Love that he has the culinary gene! Cooking with grandchildren are special moments in our lives. I baked cookies with my four year old grandson, the other day and I had the best time. You are right about that smile. It surely lights up the world. Such a cutie! How fun, I also cook with my three granddaughters and we have such a fun time. What a great legacy you are passing on! A knowledge and love for cooking is something they will benefit for all their lives! Great post! I feel like teaching children how to experiment with food and cooking is the best way to get them to enjoy good ingredients and learn to value food like we all should! I'm so proud of him! I agree that there's a gene for passion in food. You're the perfect role model for him! My back up plan at that age was quarterback for the Chicago Bears (still hoping for a draft notice). Mary what a great post!! I can't wait for my grandson to be old enough (he's only 3 months) to get in the kitchen with me!! What a sweet boy with such amazing goals for himself! The sloppy joes look so good! What a handsome boy and how wonderful that he loves to cook. He can't lose with you by his side, that's for certain. That's wonderful to be excited about cooking at a young age. I'm sure it helps to have great cooks like you in his family to teach him to love food. That's a lot of meat on a burger! But boys would love this! Yummy! What a cute kid and your recipe reminds me of the year I spent in the US (in Ohio to be precise) as an exhcange student more years than I care to remember ago where Sloppy Joes were served at all the BBQs. What an adorable cook! Great idea to involve the kids, and he looks like he's having a great time! The Sloppy Joe's look amazing! How fun that they are involved in the kitchen at this age. I've been working on a cookbook for my daughter - who at 21 yo is much older than your grandson - to take to her first college apartment. I'll be watching you closely as I'm sure you will have many appropriate dishes for her. The challenge for me has been that the recipes have to be nutritional and inexpensive;use typical ingredients; be simple, time efficient and tasty; and be made with a minimum of equipment since not many college kids have a fully stocked and equipped kitchen at their disposal. It's been a fun challenge! Your grandson is adorable..loved the pics!! Mmm.. I love the looks for that sloppy joe! It's great that your children and grandchildren cooks. I would want my boys to have a love for cooking and baking too. I say post all those wonderful simple but kid-friendly recipes. 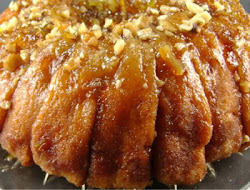 Maybe I will finally teach my husband to cook and he is still a kid at heart and would love to create them, I'm sure. I think it's wonderful that you teach your kids and grandkids to cook at an early age. It's so important for them to develop good eating habits, and really appreciate the effort that goes into making great food. Your grandson looks like he had fun, too! Like grandmother, like grandson! I love that you try to get your kids and grandkids into the kitchen! These sloppy joes sound like definite crowdpleasers! Thank you so very much for sharing this; one of my son is a chef and he was Always interested in the kitchen. This looks s bit like my sloppy joe recipe, I have one called "Not so Sloppy Joes". What a great idea for the school to have a throwdown! I love that show with Bobby flay. It will be such a good thing to get them involved with cooking, and show them it is not only for women! He looks so happy! You cannot get too simple for me, I would especially like to see those recipes!! And I think other followers would too, being as we want out of the house quick in the summer. I am not able to stand for very long anymore, so this really limits what I can cook. Your grand children's recipes would be just the thing!! I love this post Mary!! Love that your grandchildren are learning from you. I always enjoy spending time in the kitchen passing down recipes and techniques and tips to my kids too. What a fun post! Your grandson is handsome and looks so incredibly happy. My daughter participated in an Iron Chef competition at her school. Can't beat simple sloppy joes! I will have to try your recipe when I get home. what a cutie!! i love hearing about kids cooking, it's so good for them! i've actually been on the lookout for a good sloppy j recipe, can't wait to try this! Mary, This is not only wonderfully heartwarming but a tummy warming recipe too! Oh what a delightful post! Kudos to your grandson, he might not have won culinary first prize but he won our hearts! sigh! Adorable! oh how fun! I also love seeing what you made a year ago! Mary, your grandson is SO happy! How wonderful he enjoys cooking. Lots of Math + Chemistry there. This weekend my younger son reminded me of the cookbook I made for him of fam fave recipes when he was a Junior living off campus while in college. You know I love sloppy joes!!! Great recipe. Thanks for the link . You are the sweetest! Wow havent made these in years thanks for reminding me with that picture how delicious and easy these are! Great job! Interesting. We all cooked from young too in our house. These mince dishes look interesting but I prefer your other burger recipe. I like solid stuff. Great idea to get them cooking young. I plan to do that too. What a great smile your grandson has, Mary! It sounds like he takes after his grandmother. 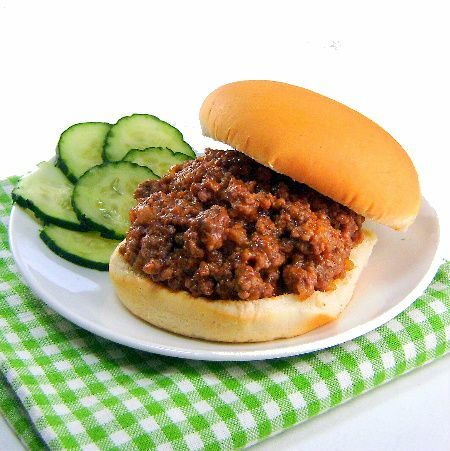 I so enjoy sloppy joes especially in the summer and am looking forward to trying your recipe. Your grandson is gleaming with excitement. Oh the innocence:) Kudos to him for joining in on the fun. A GREAT experience, I'm sure. Your post could never offend because you always add that something special no matter how simple the dish it is the love that seasons it. Thank you so much for sharing, Mary. We LOVE Sloppy Joe's!!! I have been wanting some sloppy-joes for a while now. This is perfect timing. What a great smile he has. Those Sloppy Joe's look delish too. I like simple by the way so post a way. What a wonderful smile! That will take him far in life! Cooking with your grandchildren is so wonderful, something they will always remember. That looks like so much fun! Love th epics of the kids in uniform! Adorable! ha! yeah, i think there must be some genes running in the family that all of your grandchildren love to cook. How can they not be? they are always surrounded by you and great food! dont think you will offen dus for simple recipes..sometimes we need that too! cheers! Oh, this is great! It's so wonderful to see kids cooking, and especially boys at that awkward age in middle school where they want to be popular and macho. Good for your grandson, doing what he enjoys! When I was his age I didn't even know what plasma physics was! He sounds absolutely amazing. I hope you take full credit! I've never had a sloppy joe but I keep meaning to give them a try. If the wonder kid can, surely I (with 35 years in the kitchen under my belt) can make them? I love those pictures! What a cute chef :) Sloppy joes are one my favorite meals... Thank you for sharing!